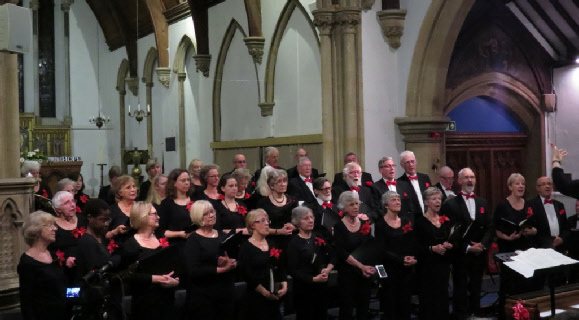 The Twyford Singers sang to a full church of over 170 people on 10 December to sing excerpts from The Messiah, some Carols and other seasonal songs. This concert was particularly poignant as we were also paying tribute to two long standing and much loved choir members who died recently. 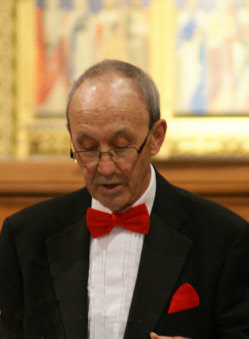 Twyford Singers dedicated our performance at St Mary’s Church, Twyford, to Alan Glenny of Twyford and David Brown of Reading who died recently aged 74. Coincidentally, they were born and died within a few days of each other. 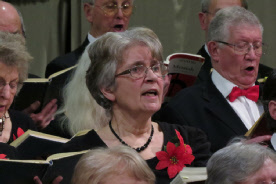 Musical director Helen Styles said: “The choir sang really well. It’s so much more fun singing when there is a full church.” She said their performances of the carol ‘There is no Rose’, with its 15th century words, and Welsh carol, ‘Rhosyn Duw’ were especially atmospheric. 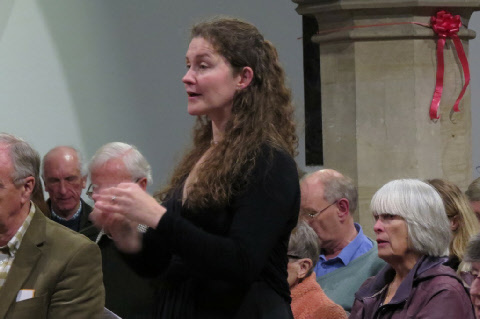 Alto Sue Thomas’ solos in Handel’s Messiah were “really beautiful and musical”. 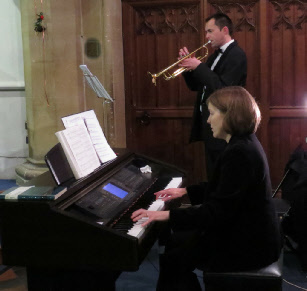 Accompanist Judith Creighton’s playing was “beautiful, just fantastic,” said Helen. Trumpeter, Gregor Spowart of Woodley Concert Band and Sandhurst Silver Band, drew praise for his exuberant and soaring accompaniment in The Messiah. 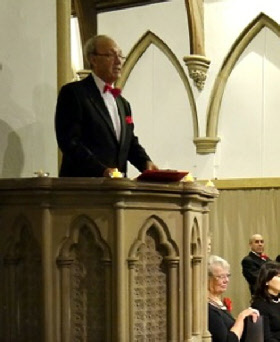 David Brown, as concert manager, introduced the Singers’ performances for many years. He was a member from 1987. 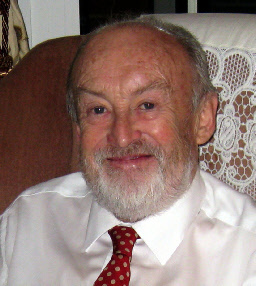 Alan Glenny, a member for over 12 years, helped produce audio records of concerts. 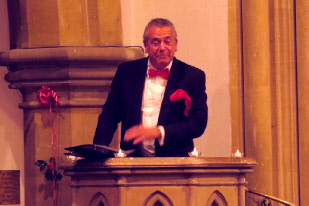 Our chairman, Lloyd Scrivener, introduced the concert, paying tribute to David and Alan. Listen to two of the pieces of music from the concert. We are holding a charity Bridge Drive on Wednesday, May 3rd at Charvil Village Hall. Keep this date in your diaries.